TruTech Tools is excited to introduce the Entry Level Tune and Check Kit for Combustion Analysis. This kit includes the necessary tools and instruments to perform a combustion test, a static pressure test, gas pressure test, as well as measure temperature rise. 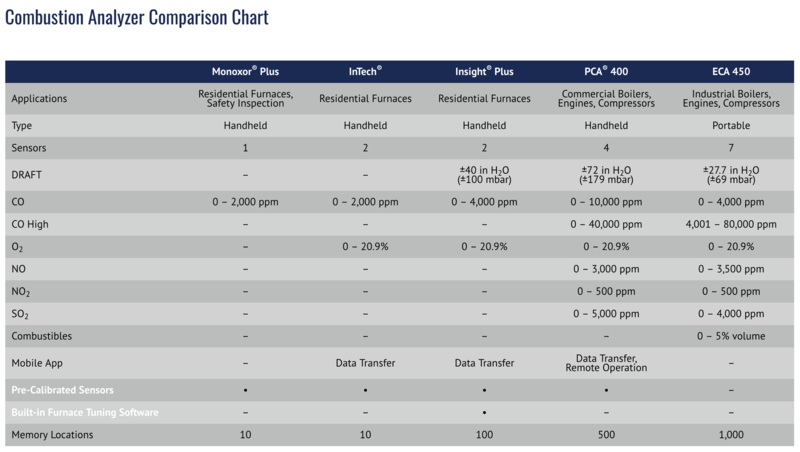 Based on the same technology as Bacharach’s Fyrite commercial units, the Fyrite InTech is an advanced, American-made, residential combustion analyzer that delivers quick, accurate measurement of oxygen, carbon monoxide, stack temperature and ambient temperature. It helps to reduce service call times by providing accurate, electronic test results instantly via intuitive, push-button operation and a menu of selectable fuel types. A new, high-contrast LCD graphic display, with backlighting, makes your results easy to see in any environment and can be output via an optional wireless printer and reporting kit. The Testo 510 replaces a tools box of low pressure measurement tools. With optional accessories, the 510 can be used for measuring manifold pressure, total external static pressure, pressure drops across coils and filters, air velocities (>800 FPM) with a Pitot tube. This differential pressure meter is ideally suitable for pressure measurements in the range 0 to 40"wc (or 9999 Pa). Testo 510's differential pressure measurement is temperature-compensated for accurate readings. Readings can be displayed in Pascal over the whole measurement range. Magnets at the back of the instrument enable hands-free operation, for instance, while adjusting gas regulators. 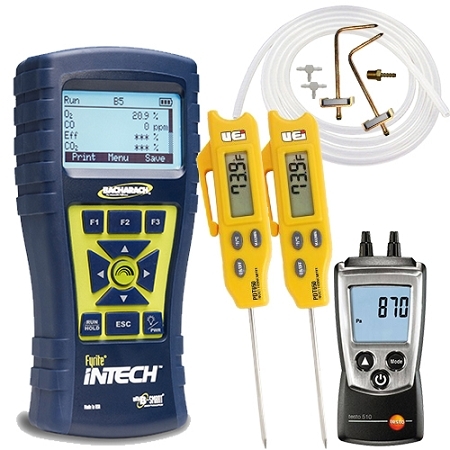 This accessory kit contains all of the standard and hard to find parts to use a compact manometer (eg testo 510 or FieldPiece SDMN5 or SMDN6) for gas and air static pressures, including tees for pressure switch testing. 770 TruReward$ points will be placed in your account when you buy this item.